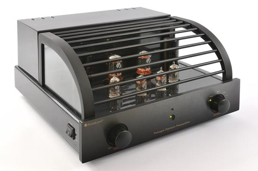 Find out all about the new PrimaLuna Vacuum tube amplifiers at Totally Wired. Tubes do fantastic things for sound - any style or type of music and in just about any system too. The Dutch company PrimaLuna design and manufacture tube amplifiers for the 21st century. They are reliable, easy to use and compatible with a broad range of both input sources and speakers. And at their entry level, they are supremely affordable. You owe it to yourself to investigate the new PrimaLuna models - there is no substitute for simply hearing what they can do - imagine lush, room filling sound. If you’d like a quick primer, jump down to the bottom of this page and take just 3 minutes to find out out what makes Prima Luna so special. Our own experience with PrimaLuna started in 2010. Since then we’ve put PrimaLuna amplifiers into a modest but worthwhile number of very fine sounding systems for some very happy clients. While we try very hard to avoid hype, the sound of the Prima Luna is something really special. In 2016 PrimaLuna is even better again with a New Zealand relaunch and the long awaited introduction of the Dialogue HP (High Power) models. Of course, you are entitled (and we'd expect you) to ask exactly how and why is Prima Luna better and is it the right amplifier for you. The first thing you have to understand is that PrimaLuna is a no-compromise type of company. So their amplifiers are built to the highest standard possible but they are not interested in matching others in terms of features or power ratings. Don't take this the wrong way, but if you are going to buy an amplifier on the basis of a high power rating, you are selling yourself short. There is a whole lot more to music than making your ears ring and we would go so far as to suggest that there is a strong negative correlation between high rated power and actual musical quality. Once you hear how even a 35 watt tube amplifier can fill a room, we are sure you'll understand. Let's look at your options - Why not start with the best? comes in above the Prologue range. It’s the newest model in this range which really spins our wheels - the Dialogue Premium Integrated HP to give the full name. This improves upon the Prologue integrated option in 3 key areas. 1. Better, more costly parts are employed to further improve all aspects of sound quality - this includes substantially upgraded transformers which take the weight of this amplifier right up to 30kg. 6 preamp tubes rather than 4 make for greater dynamics and improved detail. 2. Useful features are added - the dialogue models can switch between ultra-liner operation (the only option with Prologue) and triode mode which makes marked difference to the character of music being described as more fluid and involving (and it’s controlled via remote!). A dedicated subwoofer/pre-out is added. And a state of th art headphone output. 3. With the HP model the output tube compliment - and power - is doubled. This is the PrimLuna model to tackle any challenge. PrimaLuna could have easily doubled the output power by simply doing what everybody else does: Run the tubes harder. You’ve seen it. 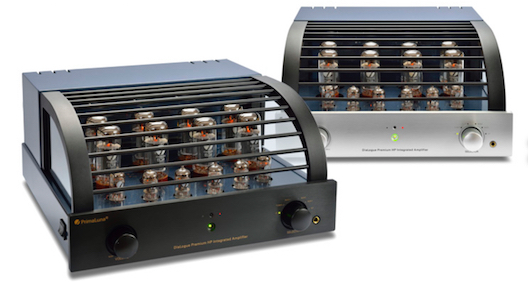 Two power tubes per channel running at the jagged edge, producing 75 or even 100 watts. They also produce unhappy customers, who have to replace tubes every 12 months whereas PrimaLuna customers may go ten years before re-tubing. A better, though much more expensive way to build, is to keep running the tubes easy, but add four more EL34s. This required enlarging the toroidal power transformer, adding a second Adaptive AutoBias board, and all the circuitry upgrades including the tubes, sockets, Swiss wiring, and Takman resistors. The result is the HP. One of the most powerful tube integrated amps in the world. Delivering 70 watts per channel from EL34's, 80 watts from KT88's, 84 watts from KT120's, and 96 watts from KT150's. Which quickly shows you the big difference between tube and solid state. You can fine tune your PrimaLuna to your own personal preferences, whereas a transistor amp sounds, well, just like it sounds. Another variation with PrimaLuna (and most tube amps) is that there are multiple speaker terminals labelled for 4 and 8 ohm impedances. You can't hurt the amp or speakers by getting this wrong - in fact there is no wrong choice - just the one that sounds best to you. We've found that the differences are both obvious and easily heard. And like all PrimaLuna amps, the tubes are run so easy you can use it every day and just relax. PrimaLuna give you a massively informative and comprehensive run down on the Dialogue Integrated here.And here’s a review to match. Ships with 8x EL34 output tubes (70 watts per channel), 6x 12AU7 preamp tubes. The Prologue Premium Integrated is is by far the most popular model in the range. This comes with 4 EL34 tubes fitted as standard and like the Dialogue model you can upgrade these. And while it may be around half the price and power of the Dialogue HP at 34 watts, it delivers a quality performance that is directly comparable in character. 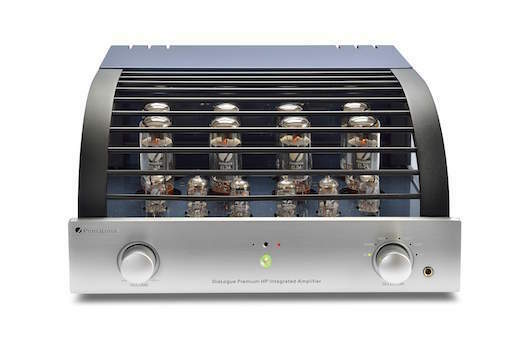 Don’t underestimate this amplifier. PrimaLuna’s entry level is well above many others supposed ‘top of the range’. The Prologue is a serious amplifier by any measure with truckloads ion real driving ability. It weighs in at a substantial 21kg yet is beautifully finished and pleasure to use with both remote control and highly tactile front panel source selection and volume. The back panel shows off high quality input and speaker connections. Regardless of amplifier type - tube or solid state, Class A, AB or D there are very few designs that even come close at this price level. With PrimaLuna, the sonic aspects we associate with tubes - liquid midrange and highs, naturalness and presence are all there. What is also obvious is that some of the downside qualities we used to associate with 'old style' tube amps like background noise or soft mushy bass simply aren't there. We aren't going to replicate a review here, just telling you that if you listen to PrimaLuna with an open mind, we think you'll be more than impressed. The value for money of the PrimaLuna integrated amplifiers is undeniable - this is an ongoing theme in the numerous reviews that abound. 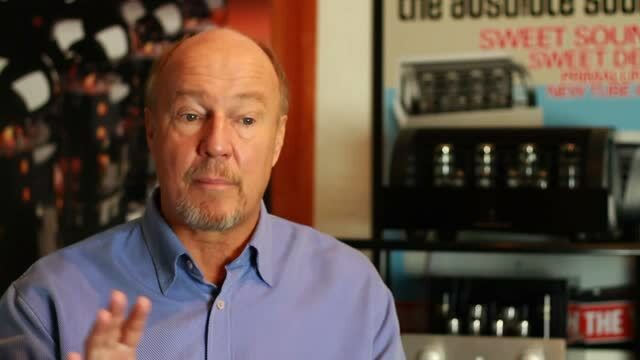 This also translates into their pre and power amplifier options which allow you to introduce the magic of tubes into your existing separates system - a stereo preamplifier, stereo and mono power amplifiers in both the Prologue and Dialogue series allow for higher performance options and greater flexibility. Just to be clear - while a separate pre and power configuration does confer quality improvements, in the case of PrimaLuna, the move between Prologue and Dialogue series and the upgrade to the new Integrated HP model, are far greater in both qualitative and quantitative terms as well as simply delivering far more for lower end cost. Unless you already have a supremely competent front end or preamplifier, or seriously good power amplifiers, the PrimaLuna Integrated is inevitably a better choice. There are exceptions so have talk to us about this. There is no reason to think that PrimaLuna amplifiers should be consigned to analogue only systems. With any number of high quality, affordable streaming and DAC devices from NuPrime, and other designers we can build completely modern systems. In terms of speaker and room matching, the power from the Prologue Integrated will be more than sufficient for most. But the Dialogue HP model delivers not just twice the power but also a significant quality improvement - there is still no danger off over-driving any speakers, so if you are able to get to this level, it is money well spent - we’ve be hard pressed to suggest any other route that would yield as great and improvement for around $2500 - that being the price difference between the two models. There are very few systems that you could introduce a Prima Luna into and not experience a vast improvement. To quote a reviewer - "As if all of the above are insufficient reasons to make a semi-expensive purchase, the clincher is the gorgeous musical presentation that this amplifier provides all day long. Its dynamic contrasts are among the best I’ve encountered; and although its midrange is beauteous, its superb articulation and command of the frequency extremes is what puts it ahead of the competition”. The Vacuum tube as we know it was invented in 1907 - well over 100 years ago. Which means there has been plenty of time to play around with tubes and you could be forgiven for thinking that every approach was exhausted years ago. Or even that tubes are obsolete. But that would spoil a very good story. PrimaLuna have built on well known technologies but have also applied a unique approach to optimizing the operation of tubes - PrimaLuna Adaptive AutoBias. They have a great white paper which explains just about everything you need to know right here. PrimaLuna make tube amplifiers for the 21st century, completely modern and forward thinking. If you want a hifi system that is genuinely special in its abilities it’s time to talk to us and investigate just how you can get into PrimaLuna.